June is here, and as the clouds clear and the temperature rises, many of us are enticed to spend more time outdoors in beautiful Washougal, Washington. For most, that means lacing up our hiking boots and exploring a trail with a panoramic viewpoint, camping amongst Evergreen trees and hidden waterfalls, or boating on the mighty Columbia River. But countless people, including locals like myself, don’t realize just how much there is to do in our growing downtown community. Let’s take a peak! Fuel up! 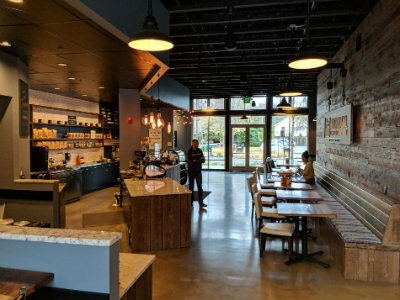 Grab coffee at Washougal Coffee Company, a locally owned coffee shop with an industrial Pacific Northwest vibe that serves Stump Town Coffee Roasters and Tea Pigs. For later, grab a gourmet german chocolate cake bomb from local baker, Killa Bites. Hours: 6:30 am - 4 pm, M - F; 8 am - 2 pm Sat. 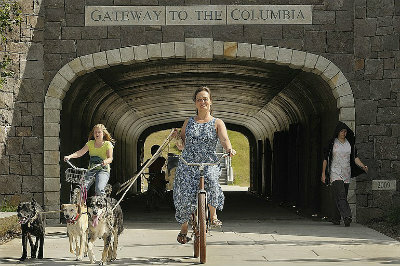 The pedestrian tunnel connects downtown Washougal to the Columbia River at Pendleton Way, and provides access to a 3-1/2-mile levee trail. The flat levee trail follows the Columbia River from Steamboat Landing, past Captain William Clark Park at Cotton Wood Beach, and ends at Steigerwald Lake National Wildlife Refuge. Trail-goers enjoy sweeping views of Mount Hood, grassy wildlife-filled fields, lush Reed Island, and the Cascade foothills. The 9.5-foot-tall and 16-foot-wide tunnel runs 115-feet safely below state Highway 14 and includes several basalt slabs with hand-etched petroglyph designs of Columbia Gorge tribes. 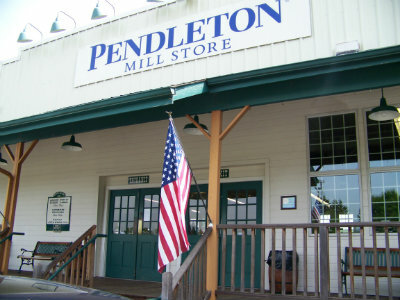 In 1910, Pendleton Woolen Mill acquired a small weaving mill in Washougal, WA, that is still in operation today. Known for their quality wool products, Pendleton buys more than 4.25 million pounds of raw wool from 20 breeds of sheep each year to make heirloom quality products. Visit the store for deep discounts and tour the 300,000 sq. ft. working woolen mill’s dye house, looms, and sewing rooms to learn what it takes to weave a blanket from fleece to finish. A home away from home! 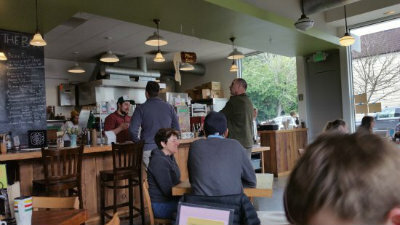 This bustling corner café serves real food with big flavor and its community-minded husband-and-wife owners are committed to cooking from scratch and supporting local farmers. Try the flaky fresh-baked bacon cheddar biscuit and wild boar gravy, or one of their many seasonal daily specials. Experience and appreciate outdoor art while enjoying a view of all that Washougal has to offer. 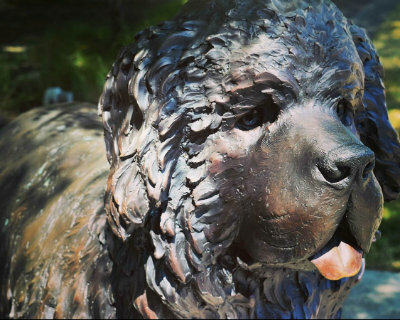 The Washougal Art Walk features 25 works of art and includes a life-sized bronze statue of Seaman, the Newfoundland who joined Lewis and Clark on their well-known expedition that included a brief stay in Washougal. Print a map at washougalarts.org and begin your self-guided tour at any point. 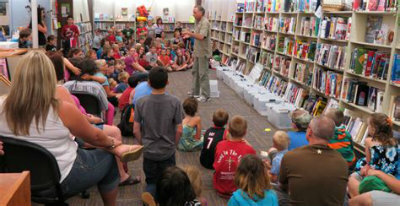 The Washougal Community Library was built in 1977 to support the needs of 1,500 citizens, and while a new library is in the works, it’s still a quaint place to take your little ones for story time and exhibits. The library also offers access to technology including Ancestry.com, and a community seed library that allows you to take plant and flower seeds for your garden. On September 8, Dinner in White on the Columbia will bring together the two cities of Camas and Washougal to dine at the same table and raise funds to support the Washougal Library Building Fund. Tickets can be purchased here: www.Dinnerinwhiteonthecolumbia.com. Washougal’s hometown bar is a place where everybody knows your name. 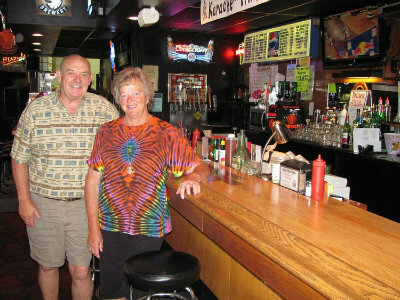 The bar has been open since the 1940’s when it was known as Carlos’ Bar and Grill, and current owners Jerry and Berta Knott, have owned the bar for 32 years. The name was changed in the 1960’s when a customer claimed to have spotted Big Foot- a common occurrence in Clark and Skamania county. A mural featuring Big Foot was painted inside the tavern wall in the 1970’s, and local artist, Travis London, was recently commissioned by the Washougal Arts and Culture Alliance to paint a historical mural on the side of the building. Try the Bigfoot burger or stop by for all-you-can-eat fish and chips and karaoke on Friday night! Rich with history and culture of the area’s past, the Two Rivers Heritage Museum offers a collection of Native American artifacts and more than 6,000 photos of local businesses, buildings, and people. Learn more about your property and family history or enjoy looking at several displays including antique china and farming instruments. Their current exhibit, “Schoolhouse,” allows you to experience a late 1800’s one-room schoolhouse. 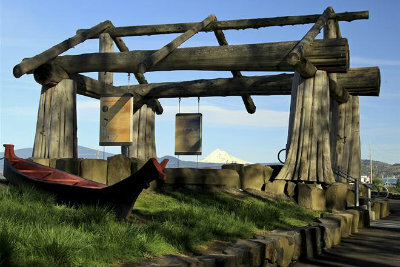 The Camas-Washougal Historical Society is seeking donations for the “Gathering Place at Washuxwal” project, an open structure pavilion reminiscent of Native American Cedar plank houses. Learn more at www.2rhm.com. Treat yourself! 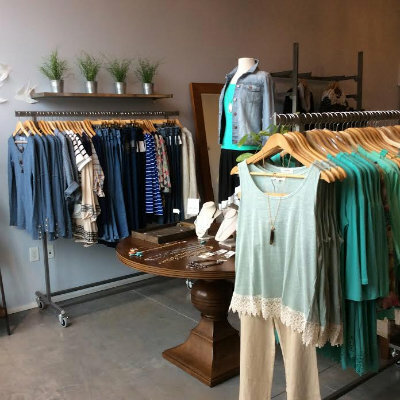 LuLu's Boutique is a locally owned ladies apparel and accessories store located in beautiful downtown that offers stylish clothing and fun jewelry at affordable prices. The boutique is named after its owner and offers gift certificates and online shopping that you can access at www.shopwithlulu.com. A beautiful place to rest or play! 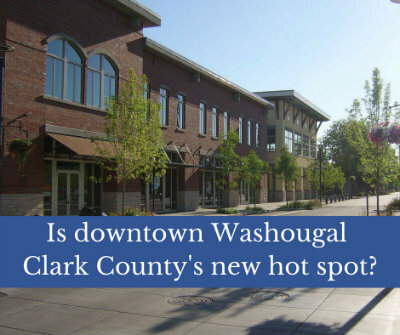 Reflection Plaza sits in the heart of downtown Washougal’s revitalized Main Street area. The city’s living room is home to many events throughout the year including Pirates in the Plaza, Pumpkin Harvest, OktoberFest, and the upcoming 2018 Washougal Art Festival on August 11. 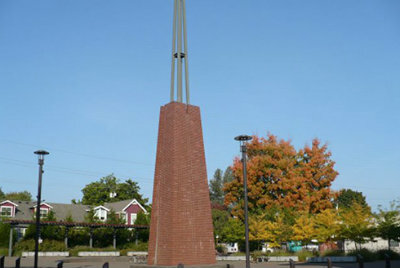 The plaza’s tower marks the location of Washougal’s first town water pump, which was dug in 1882 and significantly helped the newly platted town blossom. We hope you enjoyed Columbia River Realty’s guide and encourage you to visit our office in downtown Washougal, WA, located at 1700 Main Street, Suite, 222. Our local real estate experts would love to help with any of your real estate needs and share more about what makes our local community special.